Registered Patent Attorney specializing in patent, trademark, trade secrets, copyright law, and unfair competition matters serving clients throughout the United States and in foreign countries. Served as In-house Intellectual Property Counsel reporting to General Counsel for The Valvoline Company in patent, trademark and licensing matters for over 17 years. Providing litigation services and serving as co-counsel for general practice trial attorneys in litigation concerning intellectual property matters. 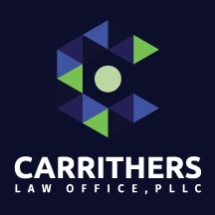 David Carrithers is a Registered Patent Attorney licensed to practice before the United States Patent and Trademark Office and the Commonwealth of Kentucky. Prior to the practice law, David worked for several years in the field of industrial chemical engineering. His industrial career includes experience as a Process Development Engineer providing technical service to customers and technical support of manufacturing operations in the formulation, extrusion, and processing operation for the PVC, ABS, and CPIC plastics compounding operations of B.F. Goodrich; Production and Research & Development Engineer for Joseph E. Seagram & Sons specializing in new product and process development of alcohol and distillery by-products, and beverages in the wine, beer, spirits, nonalcoholic beverage industry via fermentation, distillation, freeze concentration, separation, filtration and ultra filtration, selective distillation and separation and flavor preservation processes for heat sensitive products, and biochemical processes for the food and beverage industry; and Research and Development Engineer Rhone-Poulenc/Hi-Ten Polymers Group in water soluble polymer applications to the textile industry, paper industry, oil field fracture fluids ad specialty chemical applications. Prior to establishment of Carrithers Law Office, David worked for several years helping to develop the intellectual property practice at Middletown and Reutlinger. David started his law career at O’Donnell, Stutermann & Winger a law firm specializing in intellectual property. Conducted due diligence investigation and provided intellectual property support for Ashland Oil’s acquisition and merger of BASF Corporation’s antifreeze division and license of BASF AG’s antifreeze products in North America. Conducted due diligence investigation and provided intellectual property support for Ashland Inc.’s Valvoline’s Division in its acquisition and merger of Eagle One’s car care products. Represented plaintiffs and defendants in cases involving misappropriation of trade secrets, patent, trademark, and copyright infringement and unfair competition. Represented clients in technology cases involving website design, development and copyright issues. Filed and prosecuted several hundred patents and trademarks and represented petitioners and respondents in opposition and cancellation proceedings in the United States Patent and Trademark Office and through the Trademark Trial and Appeal Board. Serves as Corporate Intellectual Property Counsel for Kentucky Bourbon Festival, Inc. Served as trademark counsel winning case for Applicant in U.S. Patent & Trademark Office Opposition by Churchill Downs represented by Greenbaum Doll and McDonald - Judgement for Applicant. Served as trademark counsel successfully defending Bourbon Country Products, Inc. against opposition by Greater Louisville Convention and Visitors Bureau for BOURBON COUNTRY mark. Currently represent Sports Saddle, Inc against Hilason Saddlery Inc.; Inc. in patent and trademark litigation.